The Routeplanner of RouteYou ... what's so special? Most routeplanner show you the shortest and the fastest route. We provide you also the nicest (depending on your selected activity). Read here about what we mean with the "nicest route". And how we do this using the RouteYou Network. Some cyclist prefer to stay on paved roads and paths (e.g. race cyclists). Other like to be more adventurous and don't mind an unpaved roads. But maybe only in summer. And others prefer the unpaved roads all the time (MTBers). The RoutePlanner also allows you to plan via specific reference networks such as the Bike Node Network in the Netherlands and Belgium. Read more about it here. We show the route on top of GoogleMaps but the "intelligent routing" has been tuned and developed by RouteYou, using the RouteYou Netwerk. You can share the route with the rest of the RouteYou community via the RoutePage (have a look at this example) and the RouteViewer (read here about the RouteViewer) which you can embed in on your website (read more about it here). The route pofile is calculated and displayed (read more about it here). 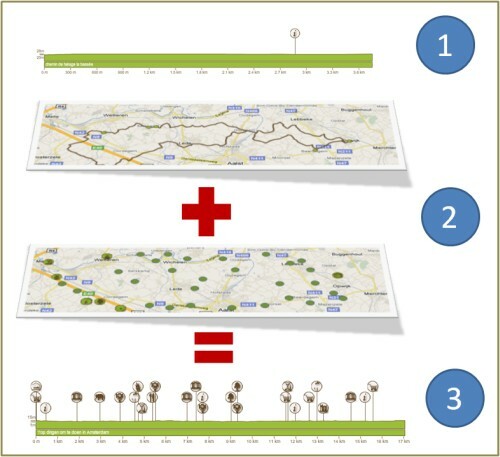 You get statistics about your route (read more about it here). You get a print of your route (read more about it here). You get the route in several digital formats such as for your GPS and you can download them to your GPS (read more about it here). You get to see you route on your Smartphone via the mobile website of RouteYou (read more about it here). You get to see you route on your Smartphone via plenty of partner apps on iPhone and Android (read more about it here and here). 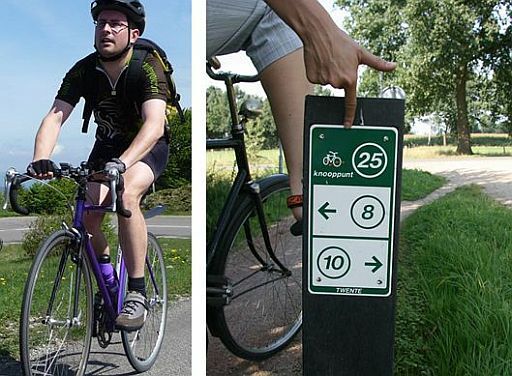 RouteYou makes routeplanners for recreational purposes such as cycling, hiking, tourism, city vistis,..). A Thematic Planner is a routeplanner for a specific purpose in one of these domains or a combination of it. A specific set of POIs (e.g.only information about cultural heritage, or tourism attractions, ...: Planner of Amsterdam).